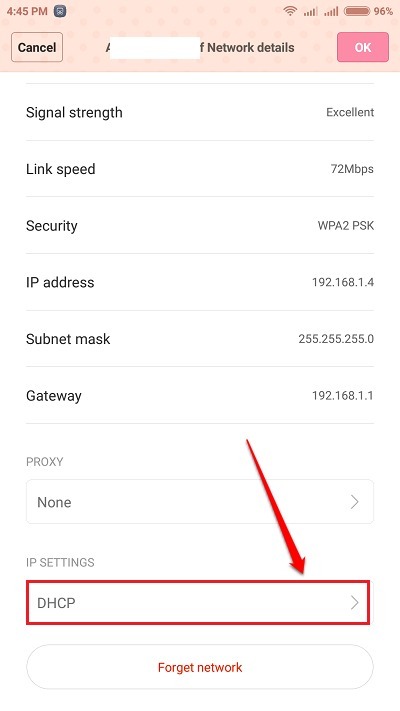 How To Fix Obtaining IP Address Error In Android Devices:- You try to connect to a WiFi network and it says Obtaining IP Address and never gets connected. Nothing can get more frustrating. But don’t worry, there is a really simple solution that you can try in a minute to fix this simple issue which may appear like a giant at first. So what are you waiting for? Let’s get started, shall we? 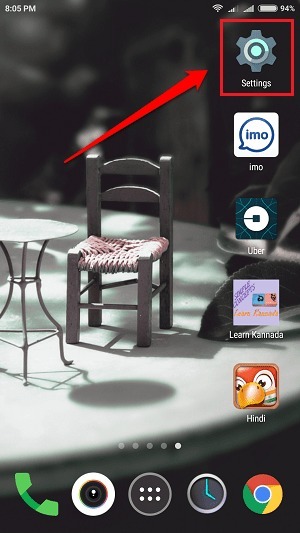 Lauch the Settings app by clicking on its icon. 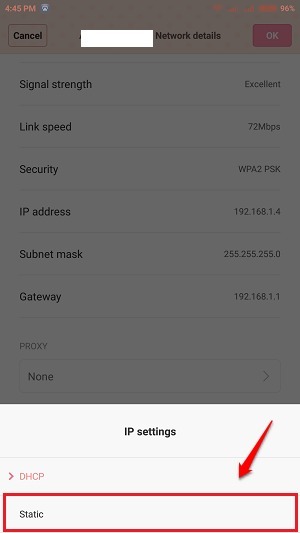 Click on the WiFi option to view the WiFi settings. 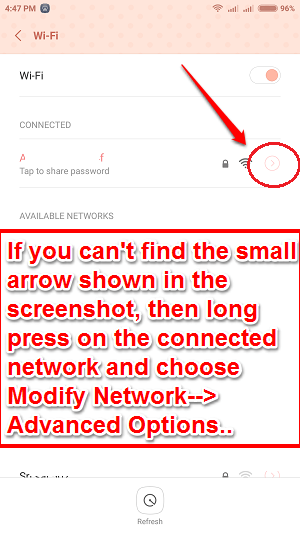 As next, you have to click on the small arrow associated with the network which shows the Obtaining IP Address error. If there is no small arrow, don’t worry. Your phone might have a different User Interface. In that case, simply long press on the network and choose Modify Network option. Then choose Advanced Options. 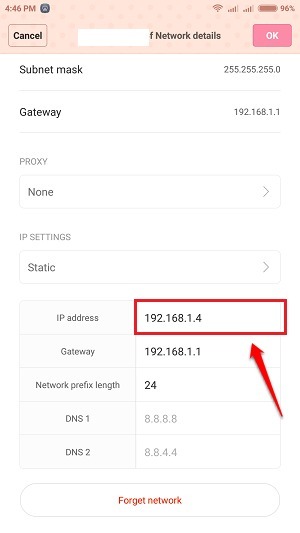 Scroll down and find the section by the name IP Settings. Click on the drop down arrow associated with DHCP as shown in the screenshot given below. 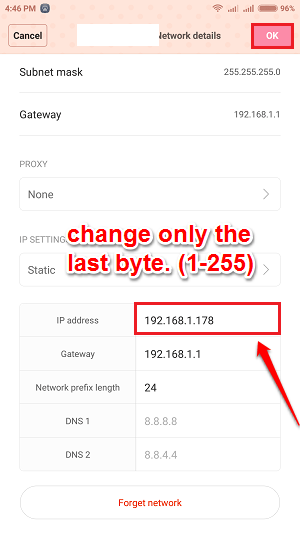 Set Static as your IP Settings. Now you need to change your IP Address. Remember, change only IP Address and nothing else. Do not touch the first three bytes. Change only the last byte. For example, in the screenshot given below, 192.168.1.4 is the IP Address. You cant change the first three bytes, i.e, 192.168.1. Change only the last byte, i.e, 4 in this case to a number in between 1 and 255. But make sure you select the number in such a way that there is no IP address conflict. Choose a number after 100 if too many users are there in this network. Hope you found the article useful. Try out this simple trick today itself and start enjoying your WiFi! If you have any doubts regarding any of the steps mentioned above, please feel free to leave comments. We would be happy to help. Stay tuned for more tricks, tips, and hacks. 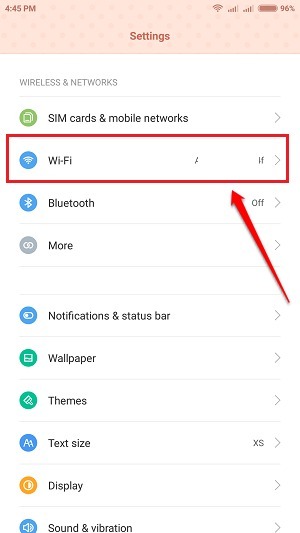 Meanwhile, you could check out our article on the topic Fixed – WiFi Keeps Disconnecting Problem In Android.